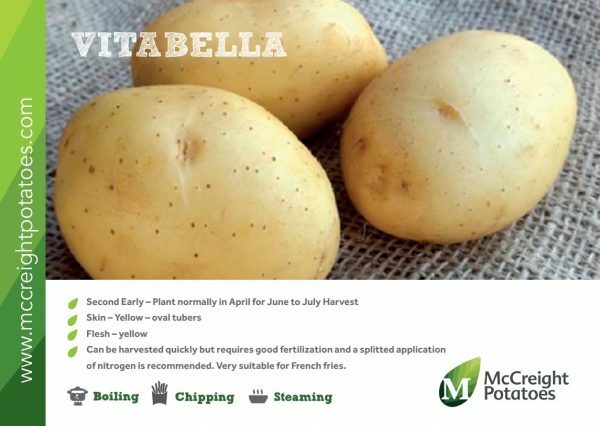 Vitabella is a beautiful and flavourful waxy ware potato which is well suited for organic growing due to its excellent blight resistance. 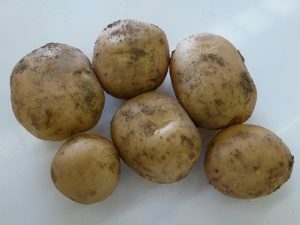 Vitabella has oval tubers with pale yellow to yellow flesh and a yellow skin. It is a firm cooking oval ware potato highly suited for organic growing, mainly for the European market. 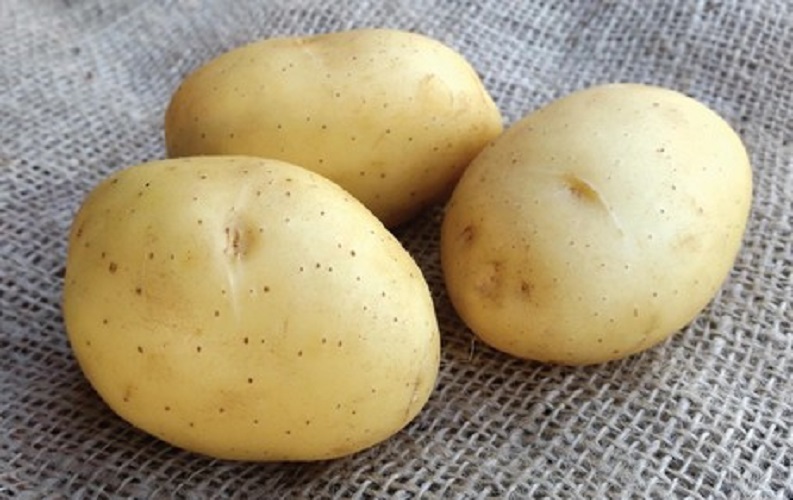 The taste, the presentation and the storage characteristics of Vitabella are also very good. 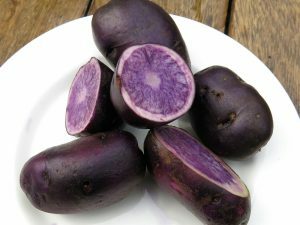 The variety is also suitable for making home French fries. 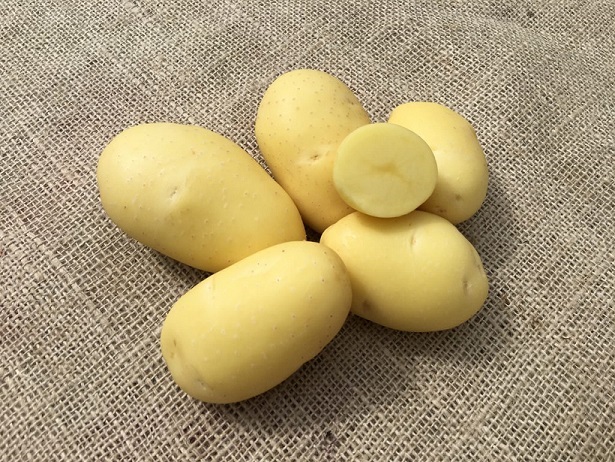 The oval tubers have a good yellow to light yellow flesh color and a very nice presentation. 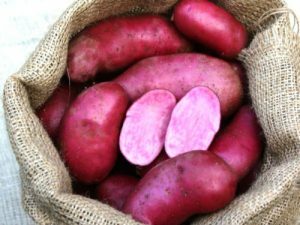 Vitabella can be harvested very quickly, because of its strong skin. 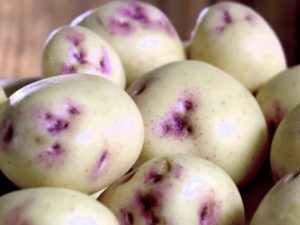 Best suited to light soils with a good structure and not too scab-sensitive. Early variety requiring good fertilisation.